SCHISTOSOMIASIS. The Pathology of Human Schistosoma haematobium Infection. CHEMOTHERAPY AND ITS USE IN CONTROL. Single-Dose Metrifonate for the Treatment of Schistosoma haematobium Infections in an Endemic Area of Zimbabwe. Metrifonate: Clinical Experience and Therapeutic Efficacy. Experience with Praziquantel Treatment. Treatment of Human Mansoni Schistosomiasis: Comparison between Praziquantel and Oxamniquine in Brazil. Selective Population Chemotherapy in S. haematobium Infection: Pros and Cons. Chemotherapy - Options and Delivery Systems. COMPLEMENTARY METHODS OF CONTROL. Complementary Snail Control in Chemotherapeutic-Based Control Programs. Human Water Contact and Schistosomiasis Infection. Developments in Environmental Sanitation, Water Supply, and Changes in the Habitat, as a Means of Controlling the Transmission of Bilharzia. EVALUATION OF CONTROL. 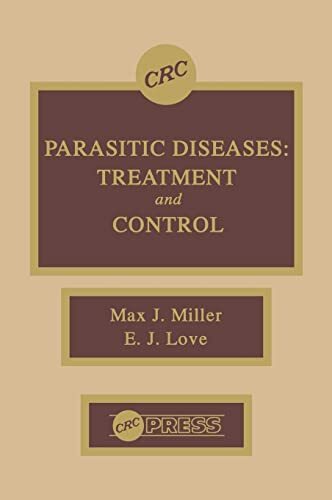 Parasitological Evaluation of Schistosomiasis Control. The Prognosis of Schistosomiasis Haematobium following Community Based Control Chemotherapy at Misungwi, Tanzania. COUNTRY PROFILES OF CONTROL PROGRAMS. The Present Status of Schistosomiasis Control in Morocco. Progress in the National Schistosomiasis Control Program in Iran. The Blue Nile Health Project - Objectives, Methods, and Budget. Schistosomiasis Control in Egypt. Present Situation of Schistosomiasis Control in China. Present Situation of Schistosomiasis Control Program in the Philippines. ECONOMICS AND MATHEMATICAL MODELS. The Economics of Bilharzia Control. Planning Schistosomiasis Control Programs: The Role of Mathematical Models. TREMATODES. Current Status of Paragonimus and Paragonimiasis. Hepatic and Intestinal Trematodes. ONCHOCERCIASIS. Social, Geographical, and Economic Factors of Onchocerciasis.